MOTHERS’ UNION COFFEE MORNING: takes place on Saturday 6 April from 10.00 am until 12 noon in the Parish Room. Come along for a coffee and chat. This is the group’s Annual Fund-Raiser so they welcome your support. 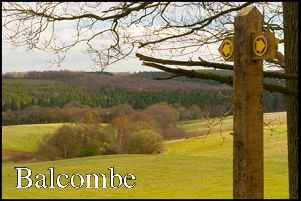 PARISH COUNCIL: The present Balcombe Parish Council will dissolve in May 2019 and it is anticipated that there may be vacancies. Would you like to give something back to the village and stand in the election for new Councillors on 2 May 2019? For an informal discussion please contact Rosemary Robertson on 01444 811833. The nomination period is scheduled to run from 19 March until 3 April (4.00 pm) and during this period anyone interested would have to deliver their nomination paper to the offices of Mid Sussex District Council. The Electoral Commission has produced comprehensive guidance for candidates, and this is publicly available via their website. CINEMA: The next film to be shown in the Victory Hall on Friday 22 March at 7.30 pm is Stan and Ollie starring Steve Coogan. The film tells the story of Laurel and Hardy, the world’s most famous comedy duo, and their attempt to try and reignite their film careers. They embark on what becomes their swan song when they undertake a tour of post-war Britain. Tickets available from Threads at £6. MOTHERS’ UNION MEETING: takes place on Thursday 14 March at 2.15 pm in the Parish Room. NEW STATION FOOTBRIDGE: About 50 people turned out to the official opening of the new footbridge at Balcombe Station last Saturday. Councillor Max Preston Bell officiated with John McCall cutting the ribbon to declare the bridge open. Network Rail and BAM Nuttall, the contractor, were represented and villagers took delight in walking over the bridge to admire the structure and the many station improvements made during the week’s blockade of the railway. Balcombe station was one of many stations to benefit when the line closure for work replacing parts of the track allowed other projects to be undertaken safely. WELCOME: to Canon Keith Richards our new Rector at St. Mary’s Church who was formally recognised as our new Rector at a Service of Institution on Tuesday 26 February. SERVICE OF INSTITUTION: On Tuesday 26 February at 7.30 pm there will be the Service of Institution of Canon Keith Richards as our new Rector at St. Mary’s. The service will be presided over by Mark, Bishop of Horsham. The HALF MOON: has a Curry Night on Thursday 14 February and on Friday 15 February Jamie Moses is playing. Please note the pub will shut early at 5.00 pm on Sunday 17 February. TIGGERS PRE-SCHOOL: has a fund-raising Race Night at 7.30pm on Saturday 9 February in the Balcombe Club. They hope to see lots of you there. AGE UK’s: Community Club is in the Forest Room in the Balcombe Club on Monday 4 February from 10.00 am until 12.30 (and every Monday). The cost is £2 per session, do drop in to have a chat or join in an activity. If you can’t get there under your own steam then transport can be provided by Bluebird (01444 471919). For more information call Michelle or Rowan of Age UK Haywards Heath on 01444 450248. COMMUNITY LINKS: Apologies, there was an error in the Diary of the Parish Magazine this month, there is no session 25 January, the next one will be Friday 1 March in the kitchen of the Victory Hall. AGE UK: are launching a new community club in Balcombe on Monday 21 January from 10.00 am until 12.30 pm in the Forest Room of the Balcombe Club. Drop in between these times to have a chat or join in an activity. 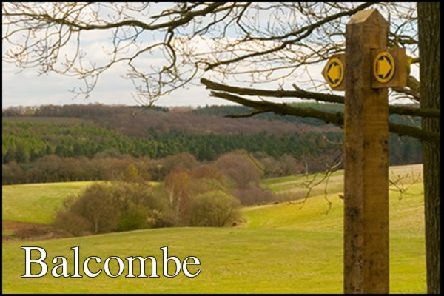 You will also be able to help shape which activities could be on offer here in Balcombe! If you can’t get there under your own steam then transport can be provided by Bluebird (01444 471919) or call the Clerk on 811833. Happy Christmas Balcombe and all good wishes for 2019: If you would like your event publicised in this column then contact me on roo.robertson@tinyworld.co.uk. The CAROLS AROUND THE TREE: event takes place on Saturday 15 December when from 5.30 pm Father Christmas will be in his Grotto under the Half Moon welcoming village children. The choir start their torchlight procession at around 5.45 pm from the church and carols start at 6.00 pm. The BBQ will be fired up selling delicious hot dogs and burgers and there will be a fund-raising tombola in the Half Moon (all donations gratefully received). The money raised goes to help local groups, individuals and charities. Don’t forget the mulled wines and ales in the Half Moon to loosen the vocal chords! Thank you: to the Balcombe Christmas Tree Society for the magnificent village CHRISTMAS TREE, it will be the centrepiece for the Carols Around the Tree event on Saturday 15 December from 6.00 pm. AGE UK COMMUNITY CLUB: Age UK are hoping to launch a new community club in Balcombe in 2019 and are hosting a meet and greet session on Monday 3 December at Balcombe Club between 10am to 12:30 pm. Do come along with your suggestions to help shape which activities could be on offer here in Balcombe! Additionally the new Age UK Centre in Hurst Place, Haywards Heath is open 5 days a week. On offer is a wide range of activities from Latin American dance to quizzes to IT and craft classes. Transport can be provided by Bluebird (01444 471919) either to get to the Balcombe Club event or to the Haywards Heath Centre. The HALF MOON’s: popular CURRY NIGHTs are happening 22 and 29 November – call 811852 to book.